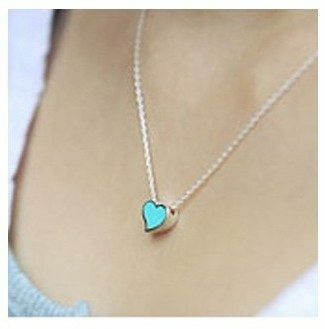 Heart-Shaped Necklaces - Set of 3 - Just $2.07 Shipped! You are here: Home / Great Deals / Amazon Deals / Heart-Shaped Necklaces – Set of 3 – Just $2.07 Shipped! Heart-Shaped Necklaces – Set of 3 – Just $2.07 Shipped! Heart-Shaped Necklaces – Set of 3 – Only $2.07 Shipped! Head over to Amazon and get this cute set of three heart-shaped necklaces for only $2.07! Plus, shipping is FREE! This is a great price and could be split up for three gifts or kept all for yourself.